Choosing a window cleaner can be scary, we know. Relax. Our business is more about the eliminating the hassles and headaches, than actually cleaning dirty windows. Making your life a little easier. We welcome the opportunity to earn you business, and trust. The Signature Team is dedicated to bring the highest quality service to each and every client, every time we show up at your front door. Focusing on the little details that are often overlooked. Signature Window Cleaning specializes in all aspects of residential window cleaning! Check out our View Renew program! Signature Window Cleaning services all types of commercial buildings. Storefronts to low / mid rise, we are your solution! You will love our pure water window cleaning techniques! Safe, efficient, and with superior results! Solar panels operate most efficiently without dirt, dust and grime. Protect your investment with Signature Window Cleaning! Arizona has some of the hardest water in the country. Remove those unsightly hard water stains from glass, showers and more with Signature! Glass gets scratched from time to time. As trained GlassRenu specialists, we can remove the scratches at a fraction of the price of replacement. 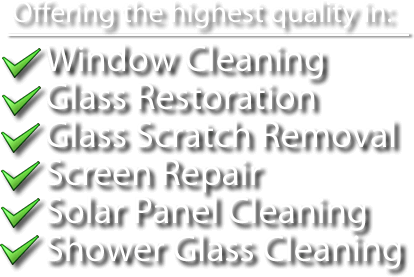 Quality Is Our Signature – The Signature Window Cleaning Difference! At Signature Window Cleaning, we offer the best window cleaning in Cave Creek, Carefree, Anthem, Paradise Valley and Scottsdale AZ. Owner and operator Matt Olmschenk has been cleaning windows since he was a bagboy at a local golf course – and today, he’s partnered with the most professional, reliable window cleaning technicians to provide the best window cleaning services around! We’re passionate about window cleaning. We believe that you, as a homeowner, deserve a home that’s beautiful and easy to maintain – and that’s why we do what we do. We’re dedicated to your satisfaction. If you’re ever unhappy with the service you receive, we’ll make it right. That’s not just some empty promise – that’s a guarantee! Our company is fully insured, licensed, and bonded – and we pride ourselves on using only environmentally-friendly chemicals. Our highly-trained technicians are professional and reliable, and have a deep knowledge of cutting-edge window cleaning techniques, tools, and equipment. Quality is our signature. 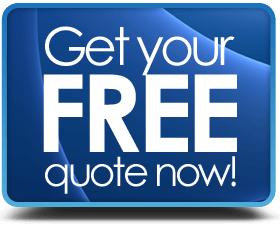 So contact us today – and see the Signature Window Cleaning difference for yourself!